Introducing the popular Trixie Plastic Hasmter Wheel with great safety features and versatility. 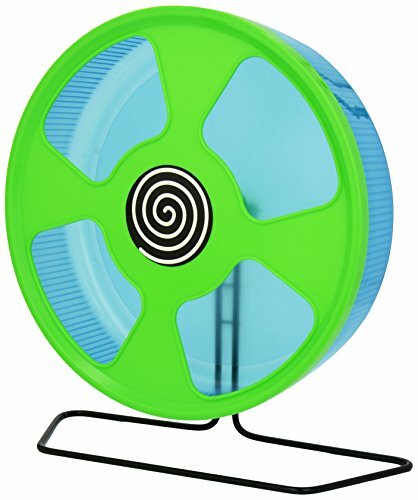 This plastic hamster wheel features a solid plastic running surface with reinforcements making it both safe for your hamster and easy to grip. 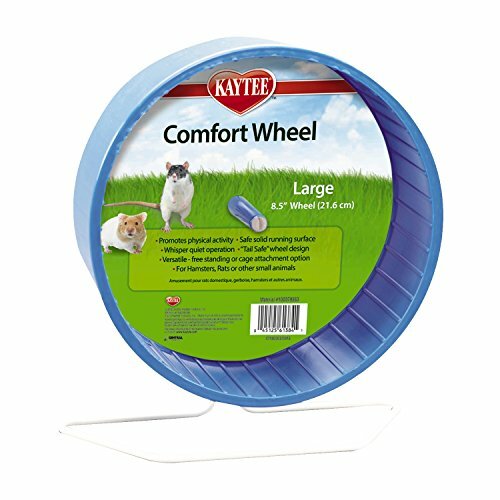 Because of it's larger-than-average size, it's gentle on your hamster's spine unlike many other smaller wheels. 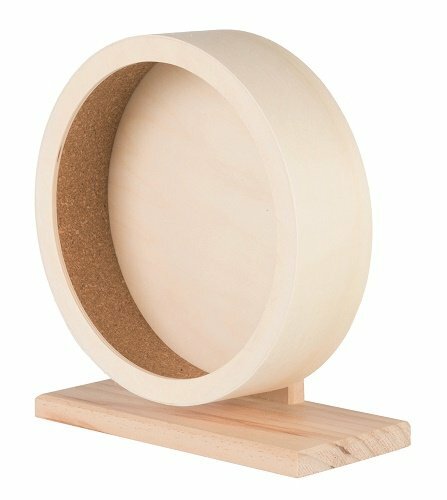 This Trixie hamster wheel features smooth rotation and is pretty quiet too. 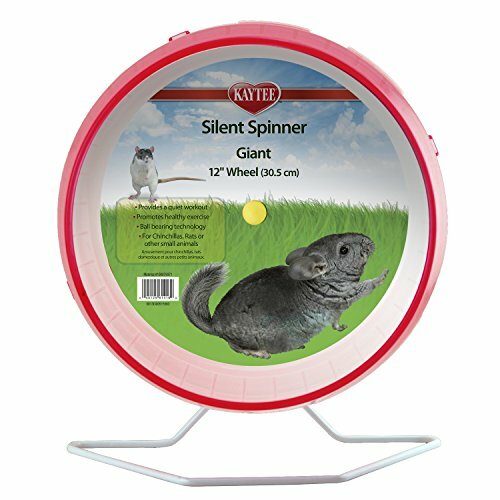 The spindle is nice and durable which means this hamster wheel should last a long time. This wheel features a 'part covered' plastic front which helps to prevent your hamster flying out at top speed. The gaps make it easy for quick entry and exit when it's not spinning. It even features a white spiral on the face which turns into a white blur as your hamster gathers speed! This 28cm diameter hamster wheel can be either mounted on it's frame, or attached to the side of your hamster's cage.